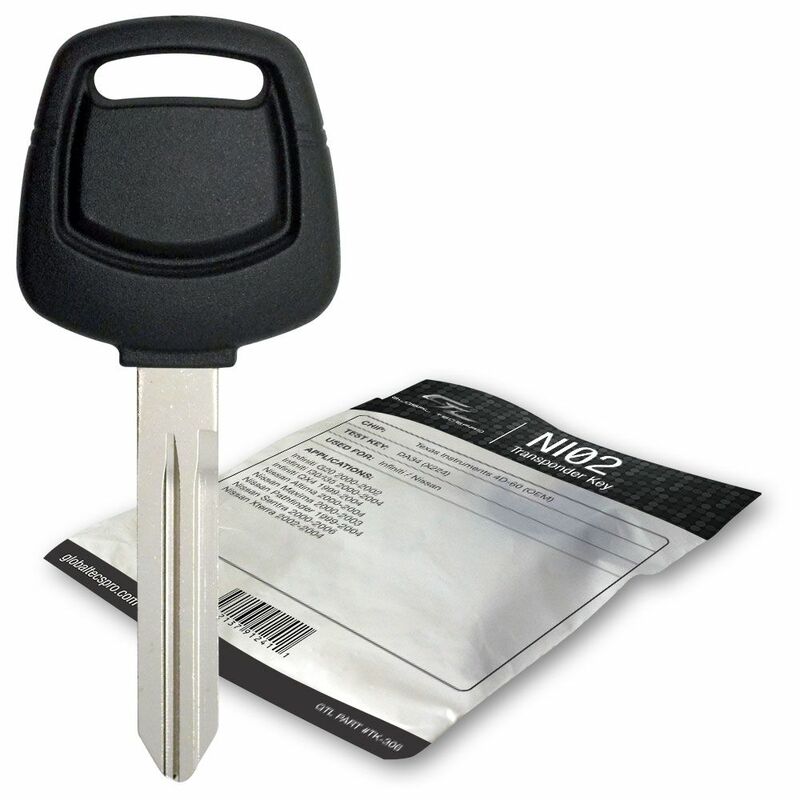 Transponder chip key for 2000 Nissan Pathfinder truck. This Nissan transponder key blank is new and uncut, so it will require set up for your 2000 Pathfinder by your local Nissan dealership in your area or local automotive (car) locksmith. Proof or ownership for your vehicle will most likely be required (like title, registration, insurance card) to make sure you are the owner or authorized user. Please note that this 2000 Nissan Pathfinder key does have a transponder chip ( security device inside ) in the head of the key. This Nissan transponder keys has a circuit, chip hidden inside the head of the key. Most of us are not aware of the fact because the chip is not visible and molded inside of the black plastic head. Important: this key will require both cutting and programming to you 2000 Nissan Pathfinder for it to work. It can easily be programmed by a local car locksmith or dealer service department. Chip TEX 4D-60. Als know as: Strattec 692060, 692061, Ilco NI01T, Ilco NI02T, BN101T, Hata DA34HPT, Jet DA34PHT, N102T, H0564-5Y700, H0564-2W605, H0564-2Y900, H0564-5Y700, H0564-2W610, H0564-AM600. 00-04 Nissan Altima, 00-03 Nissan Maxima, 99-04 Nissan Pathfinder, 00-06 Nissan Sentra, 02-04 Nissan Xterra, 00-02 Infiniti G20, 00-04 Infiniti I30/I35, 99-04 Infiniti QX4.